Nothing says Halloween like a wonderfully spooky book to read at night. 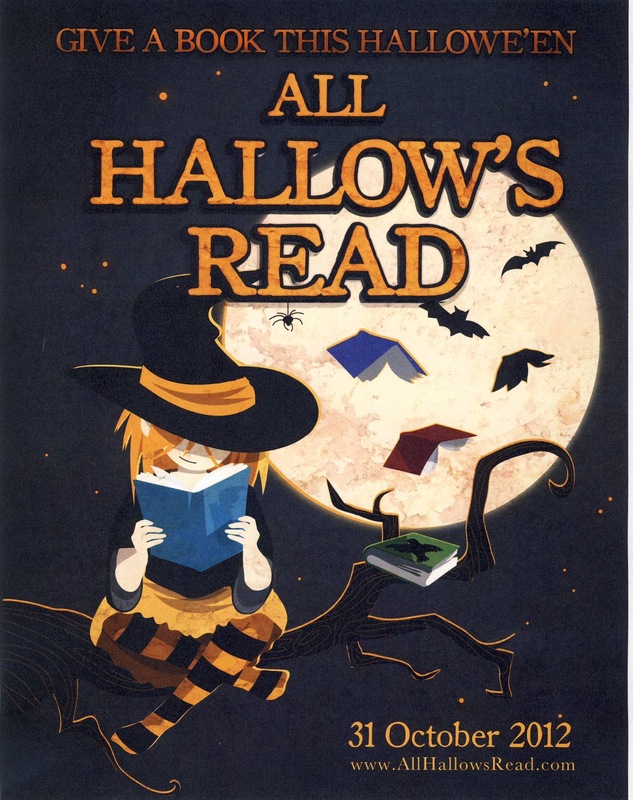 Author Neil Gaiman started the tradition of All Hallow's Read, in which you give a scary book to those you love at Halloween. We at Stellar Four would like to share some of our favorites with you. 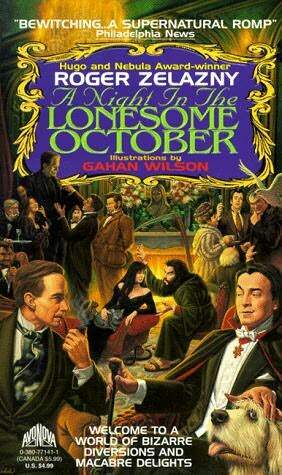 Night In The Lonesome October by Roger Zelazny: While this title is woefully out of print, I was lucky enough a few years ago to snag one for cheap on eBay. It's my absolute favorite Halloween book and it's delightfully insane. It tells the story of a dog named Snuff who is the partner of a man named Jack who may or may not murder women with knives in his spare time. They live in the bucolic English countryside in a loose village that also includes a witch, an insane vicar, a sinister Russian priest and a mad scientist who always has lightening hitting his house. It turns out they're all there to stop (or cause!) a rift in the fabric of reality itself to let out the Elder Gods of Lovecraftian lore and the best day to do that is on Halloween. The best part about this book is that it's told in 31 chapters, one for each day in October, so I spend the whole month involved in it! Interview With The Vampire by Anne Rice: The story of Louis and Lestat is one of the best written vampire books of all time (sit down, Stephanie Meyer, you WISH you could write like Rice!) and it's also an October favorite of mine. From evocative language and lush settings, to the incredible characters, it's one of my all time favorite novels. The Call of Cthulhu by HP Lovecraft: Ah, good old Lovecraft. There's nothing better than the story of an Elder God who sleeps under the sea to get you ready for Halloween. If you get past the very dense language of Lovecraft, you're in for a spine-tingling treat. Cthulhu fhtagn! The Collected Works of Edgar Allan Poe: The Raven? The Tell-Tale Heart? The Cask of Amontillado? Need I say more? 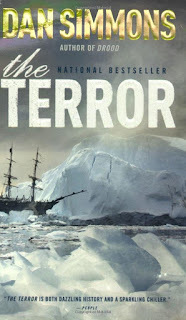 The Terror by Dan Simmons — This utterly chilling book tells the story of a group of arctic explorers trapped in the ice and succumbing one by one to the cruelty of nature, the evil of other men, and the supernatural threat that lurks outside their stranded ship. 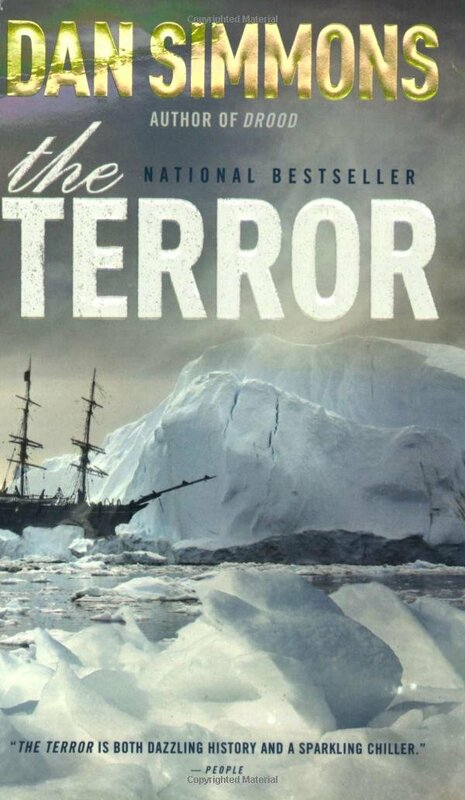 It's a book of creeping horror that flings you into its foreign and fascinating world. You'll still feel its pull days after you read the final chapter. 'Salem's Lot by Stephen King — To be fair, I read this book when I was 14. But the terror I felt as I sped through the chapters of this essential vampire novel remains fresh in my memory. The Handmaid's Tale by Margaret Atwood — What? This isn't horror, you say? Try getting through it without cringing and having nightmares of a future world gone mad, I retort. 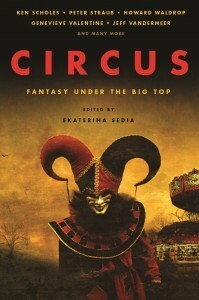 Circus: Fantasy Under the Big Top edited by Ekaterina Sedia - All right, I haven't read this yet, but the cover is creepy as hell, so it earned a spot on my list. World War Z by Max Brooks - This has been mentioned on S4 before, but I have to add it again. The government responses were so chillingly accurate to how I imagine a zombie apocalypse would go down, especially the decoy cities. If you haven't read it yet, this would make a great Halloween read. I have a secret to confess. I don't really like truly scary books. Like the stuff that leaves you with nightmares? Not for me, thank you very much. I think the last one I read that actually bothered me was something by Dean Koontz and the serial murderer had jars with pairs of eyeballs... or something. See? I don't even WANT to remember it. I'll just be over here with my books about cuddly bunnies... with their beady eyes and twitchy little noses. OH GOD. WHAT HAVE I DONE? GIVE ME KITTIES INSTEAD OF TERRIFYING BUNNIES! I too have a dark secret to confess. I'm not too terribly into the scary either. I can do the gore and the violence, but I tend to check out when it gets ooky. I am also frightened by stupid little things. Like leaving the closet door cracked open at night and the possibility of dying via spaghettification in a black hole. I can however attempt to be somewhat cool and relevant and recommend some Halloween-esque comics. I'm going to stay away from any Big Two comics just because there's too much there to sift through and everyone's going to be like "DUDE, BATMAN". And I know, Batman. But plenty of folks know Batman so let's just do something else. 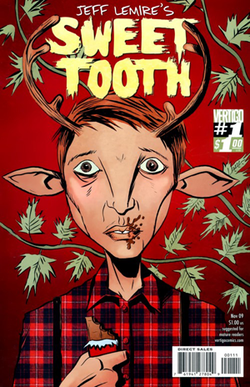 Sweet Tooth by Jeff Lemire- It's just post apocalyptic and creepy and sad and creepy and messed up and have I mentioned creepy? The series follows a boy deer hybrid named Gus who lives safely in the woods with his father until the apocalyptic world outside catches up with them. That Popular Franchise Everyone Is Like "OH MY GOD ARE YOU FOLLOWING THIS?!?!" Walking Dead by Robert Kirkman, Tony Moore & Charlie Adlard- It's a clever take on the genre, with the zombies more of a force of nature or natural disaster and the true danger being your fellow man. 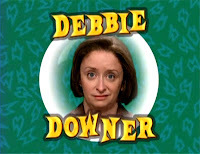 But it does get repetitive. My suggestion to everyone wanting to tackle Kirkman's ravenously popular comic is to read up to issue 48 (which is conveniently what the compendium ends at) and then just imagine everyone dies a horrible, torn asunder death. iZombie by Chris Roberson and Michael Allared- A zombie, a were-terrier and a ghost walk into a diner to go get some pie and it's pretty badass. There's all your favorite monsters and a solid main character who's got a heck of a problem that makes her an unwilling detective. Anya's Ghost by Vera Brosgol- I just haven't gotten around to it, despite it having Mr. Gaimen's seal of approval on the cover. I feel bad. Like I'm missing out on something important in life. I'll go read it while I'm dressed as a Hufflepuff and handing out candy tonight.